In one of our previous articles on FUSION ‘Time-Lock’ we provided a preliminary understanding of this function, and brief reference to use cases. Now, we would like to expand on a possible use-case and describe how Time Lock can be used in the context of Proof Of Stake. 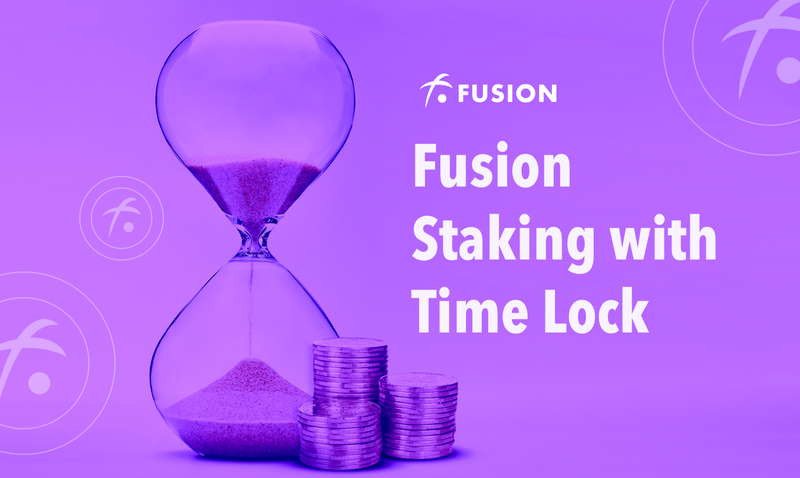 FUSION will allow users to participate in FUSION’s staking based on a certain amount of FSN’s usage right as an ‘equity certificate’, within a valid period of time. The user participates in staking according to the value of committed FSN usage rights (via the Time Lock function), and receives the same staking award return, as others who participate in the traditional way. This will improve ease and convenience for people who have FSN, but are not very clear about how to participate in staking. In the past, if a user wanted to participate in staking while avoiding issues such as building and maintaining nodes, then choosing to join the staking pool was the only viable method. But such a method requires transferring the FSN which we hold, to the staking pool’s address — with which some people might not be comfortable with. Based on Time Lock, there’s a brand-new method to solve this problem. With FUSION, a user may choose to divide their FSN using Time Lock. They can choose to give the FSN’s usage rights in one or more of the future time periods to the staking pool, to participate in staking, but not necessarily the full FSN. Or, they might sell it directly on the market to buyers who are interested in acquiring and taking part in staking. This way, they don’t need to wait for the bonus block period, and can immediately get their staking proceeds. At the same time, after the transfer or sale of the usage rights obtained by using Time Lock, the user still holds the other time portion of the same number of FSN, starting from the future time point to infinity. Indeed, the non-current time portion will not be able to participate in staking because it has forfeited its usage rights. But as time approaches the predefined future time point, and without depending on any third party, the future portion of the asset will automatically become current, representing your complete ownership of this part of the FSN from that time point. This embodies your full and secure ownership of the asset, regardless of it’s being split over time or of the sales/usage rights transfer. And, with this passage of time, as future ownership becomes current ownership, the tokens can once again be split into current and future portions, with current usage rights committed again for staking, for a new round of gains.